Bringing financial services to people is key to enhance the chance of poor people to participate in development and reap its fruits. By connecting savers, who put their funds into an institution, and entrepreneurs, who spot opportunities for their talents, a bank or financial institution makes the best allocation of both funds and talents across space. By giving loans to students from poor families in order to pursue chosen training, the institution allocates investor funds for creating talents and opportunities for the future. Evidence is thin, however, on how many people use financial services in developing countries. Upon investigation, financial inclusion (‘own a bank account’) is recently found to be low. In Indonesia the Global Financial Inclusion database of the World Bank revealed a figure of one in three in prime age adults in 2014. In comparison to its East Asia & Pacific neighbours, the figures double to two in three; while among lower middle income countries it is 42%. Our own investigation using three years of Financial Inclusion Insight data showed more detailed figures. At least 18,000 prime age Indonesians have shared their financial service information from 2014 to 2016. The annual surveys showed relatively constant financial inclusion figures of 22%, 24% and 27%: nearly one in three. Because of this constant rate the surveys are pooled to produce a map of financial inclusion across the sprawling archipelago. Observers familiar with the Indonesian development won’t be surprised with the evident spatial disparity, though uncharacteristically Papua provinces reported figures slightly higher than the average. This spatial disparity insists on being accounted for when narrating financial inclusion across groups in society. Decentralisation, politics of local leaders (orang setempat) and persistent echo of centralised development are only few of the drivers behind variations in development which hold strong spatial character. When this is included in multilevel models,† the analysis yield familiar and novel patterns. Income poor* families (including student members in their midst) are less likely to have an account, so are women and rural residents. But when widows lead families they are more likely to avail themselves of the service and open an account. More generally, married and better educated people are also more likely to have one. Strikingly, unlike the global story arising from the World Bank Global Financial Inclusion project which highlights credit depth, in Indonesia, with Central Bank data supplement, credit depth makes no difference. Savers, entrepreneurs, investors, students, clients and banks all fundamentally trade on funds and information. Therefore ubiquitous smartphones constantly tethered to cyberspace should make a difference. And indeed they did. 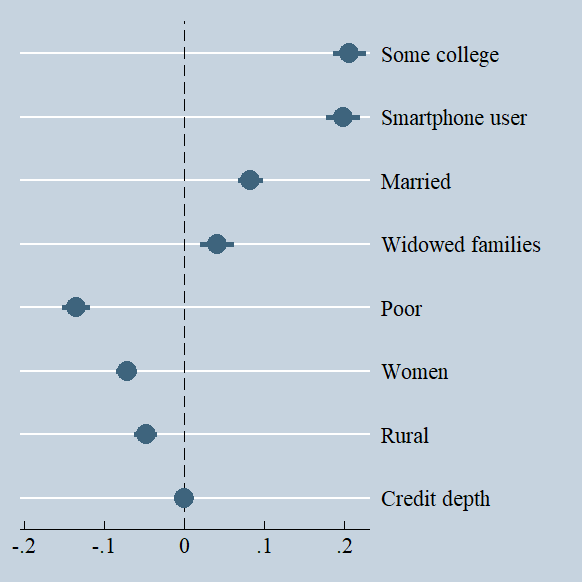 Smartphone users are more likely to be financially included. But mobile money has not taken hold yet. Among the income poor less than half a percent used any mobile money services (uang ponsel: BBM, Skye, Ovo and others). Among the non-poor? Less than one percent. 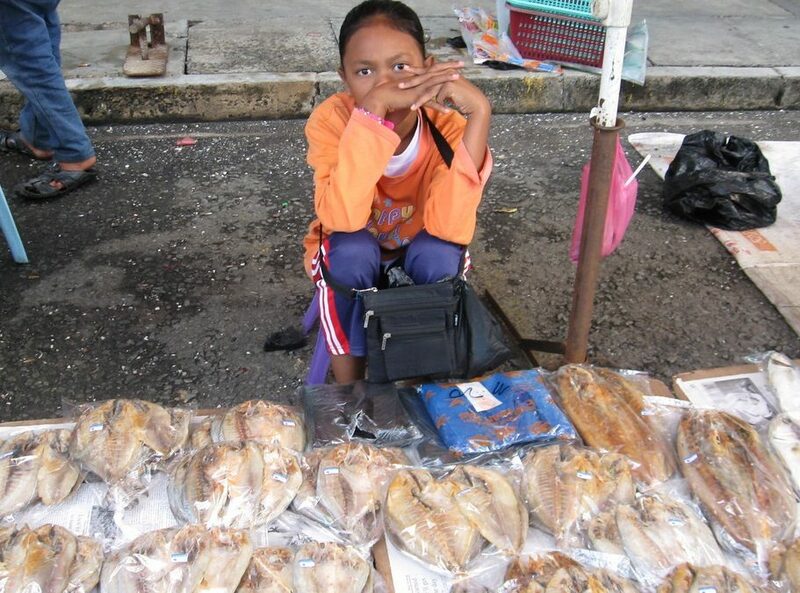 Financial inclusion in Indonesia is growing slowly. More concerted effort including monitoring is needed to bring the income poor and other disadvantaged groups into the fold of financial inclusion. Acknowledgements: The author thanks the Bill & Melinda Gates Foundation which kindly provided the data through The Financial Inclusion Insights Program, InterMedia (http://finclusion.org). *Income poor is defined by the Financial Inclusion Insight, Intermedia, following Grameen Bank’s work on financial inclusion. This article gives the views of the author/academic featured and does not represent the views of the Global Development Institute as a whole.